Bike riding is a great family activity. We have some quaint roads in and around Greer that are an easy way to enjoy the great outdoors as you ride through the largest Ponderosa Pine Forest in the World. This is a great way to explore Historic Main Street in the Village of Greer. Bring your own bike, or rent a bike in the area. 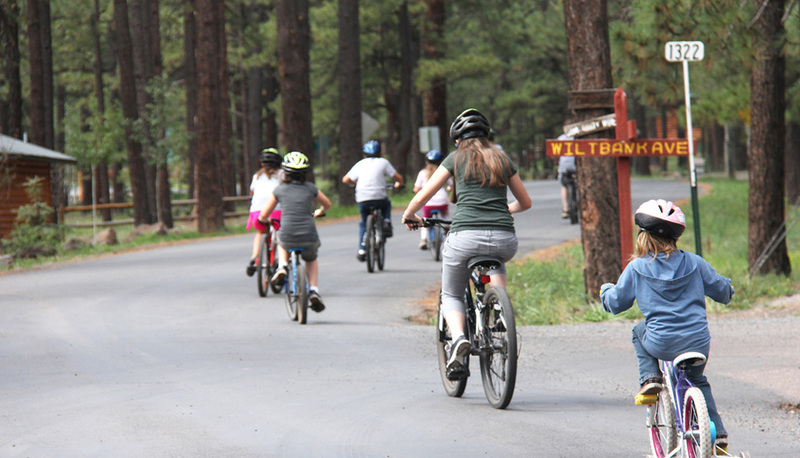 Enjoy the sights and sounds of the Greer Valley while riding our bikes, but be prepared to stop and take a picture of an Elk or Deer standing alongside the road or make way for a squirrel to cross the road in front of you. It’s a wonderful way to stretch your legs on a cool Greer afternoon. Click here for Bike Riding Photo Gallery. Bring your bike to Greer! See our photo gallery.